I recently received a commission from Kika Von Kluck, a performance artist and very dear friend, to create an illustration for a CD of her music that will be released this month: Human Observations in Space Time by Cyphered Threads. 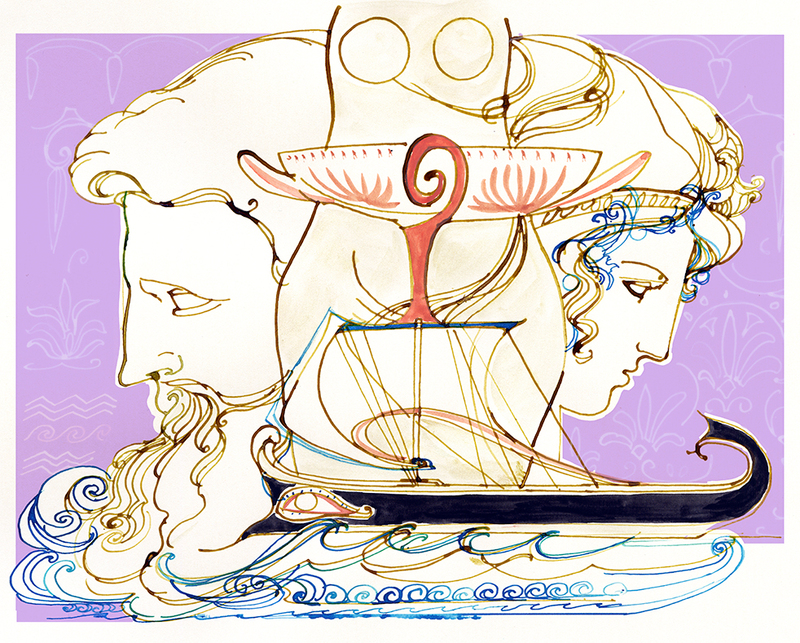 The song I illustrated is called “Homer’s Daughter” and is inspired by the notion that Homer’s Odyssey was actually written by Nausicaa, the princess who helped Odysseus return home after his 10 years of wandering. 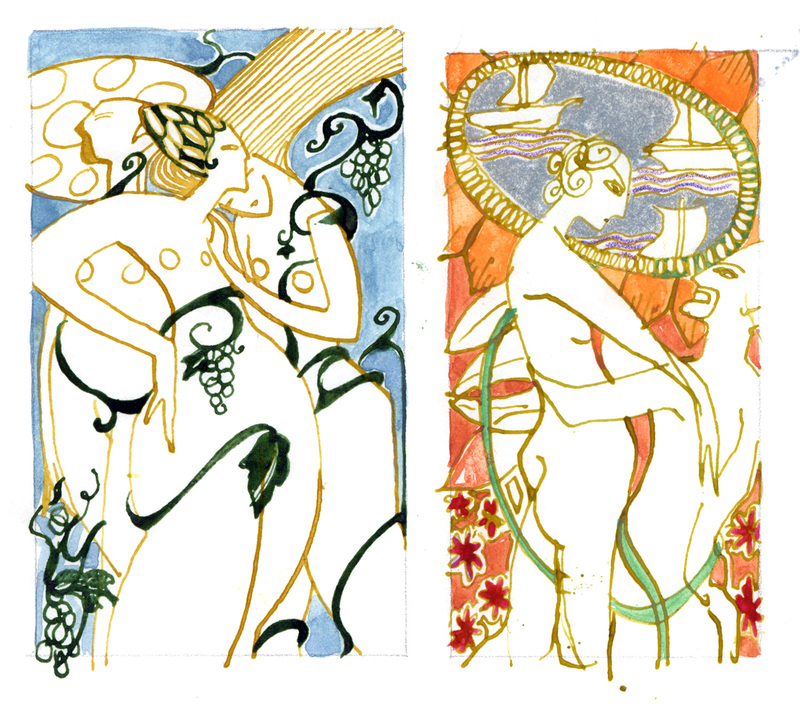 According to Robert Graves, there were many women who spread the story of the Odyssey, a story, as Kika puts it, “which has a feminine edge and tells…of a transitioning world, as it documents the last civilization of the goddess.” Boy do I love receiving an concept brief like that! The song is beautiful and was so much fun to illustrate. It is sung from the perspective of one of the young female storytellers who is learning the tale of the Odyssey from Nausicaa and falling in love with her teacher. You can find more information about it here at BNS Sessions. As part of our discussions about this assignment, I sent Kika some illustrations I had done for the Odyssey several years back. She loved the style and asked me to create something along those lines. 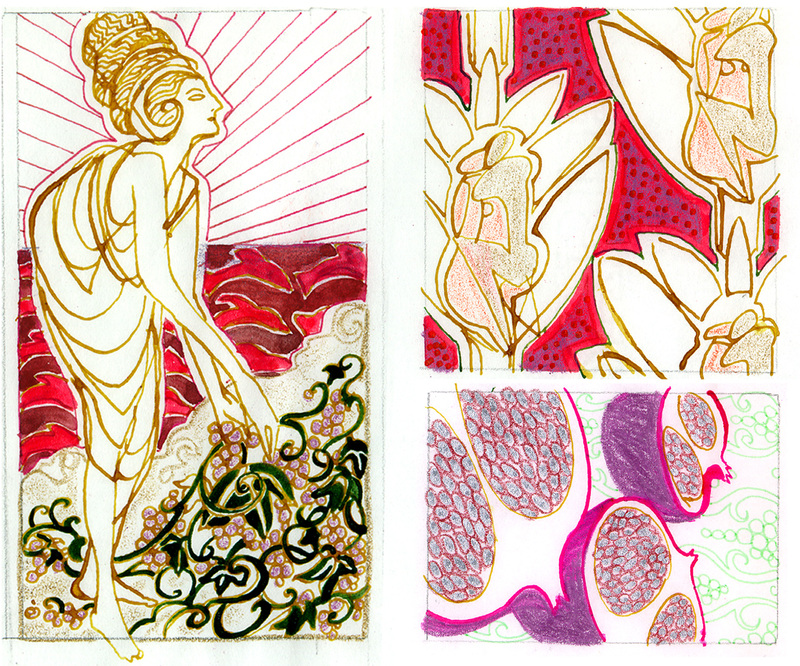 Below are a few of those illustrations. Thank you Kika for getting me back into this project – one well worth returning to I think!